The unilateral joint system provides a modern, integrated leg orthosis for individuals with partial or total paralysis of the leg muscles. It consists of a knee joint and ankle joint. Depending on your individual physical condition, the unilateral joint system makes it possible to use only one knee and ankle joint respectively. This makes the orthosis especially light and comfortable to wear. 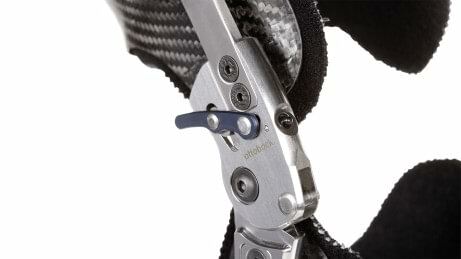 The ankle joint has a foot lifting effect and can be individually adapted to your needs by your orthotist thanks to its numerous adjustment possibilities. With a body weight of up to 242 lbs. (110 kg) and depending on your physical condition, it is possible to only use one instead of two knee and ankle joints respectively. This makes the orthosis especially light, slim, and incredibly comfortable. 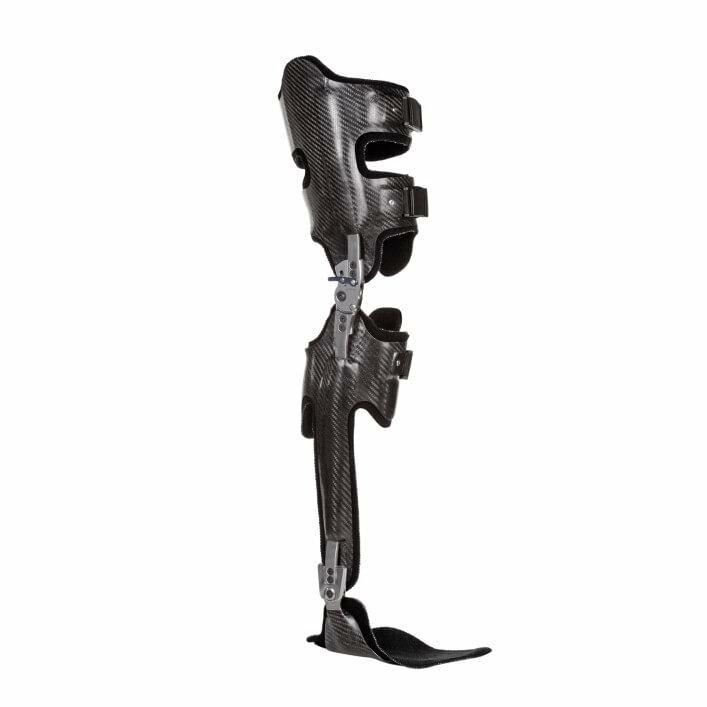 The unilateral joint system is also available in an ultra-lightweight titanium version. The joint system is available in different sizes, including child sizes. 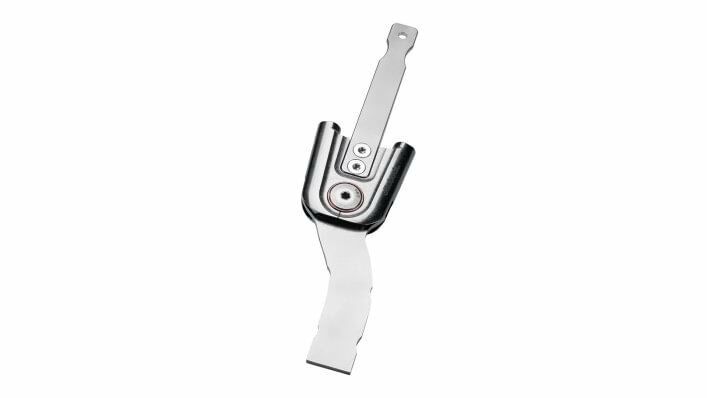 The unilateral joint system consists of a locked knee joint with wedge lock and a multifunction ankle joint. The knee joint is permanently locked; however, it can be unlocked using a lock lever or pull cable, for example, when you want to sit down. The joint engages automatically when you get up, re-locking the joint. The ankle joint has a foot-lifting effect and multiple adjustment combinations, making it possible for your orthotist to adjust the joint to meet your individual needs. 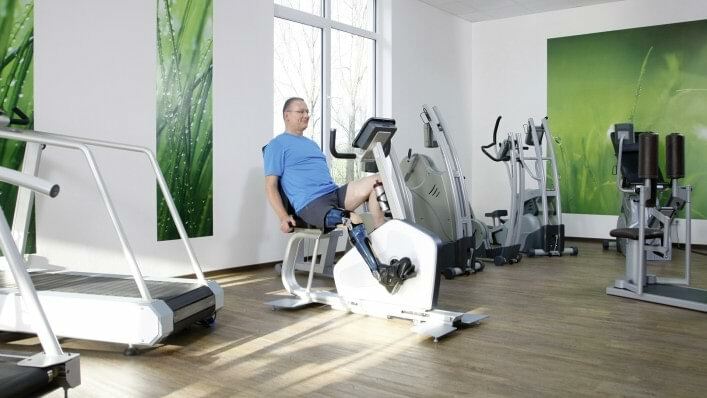 Your orthotist can also equip the knee joint with an additional switch, which can be set to an open position so that you can complete activities such as training on a therapeutic bike. 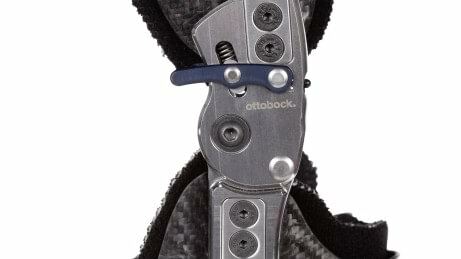 No, but Ottobock's Aqualine orthosis system is a waterproof walking device designed especially for wet conditions. All of the components used are designed for contact with water.